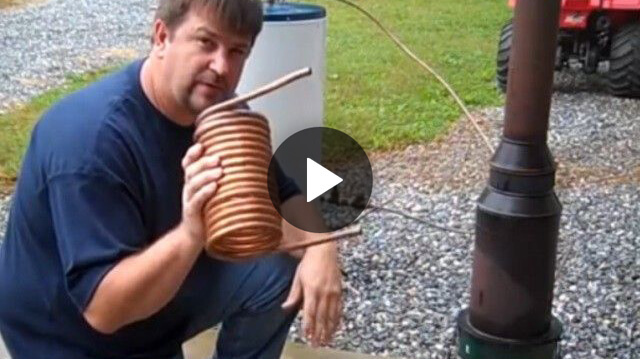 Whether one lives off-grid and seeks to create an endless supply of hot water or lives in a location with sparse resources, this video is sure to inspire and inform. Are you interested in moving off-grid so you might live a self-sufficient life away from society? If so, you're sure to benefit from this video uploaded to YouTube by engineer775 Practical Preppers. The information shared reveals that all one needs to create an endless supply of hot water is some recycled parts and a small rocket stove. In case you're not aware, a rocket stove is a hot burning stove that uses small diameter wood fuel. It ensures almost complete combustion prior to the flames' reaching the cooking surface and is extremely efficient. Learn how to build your own HERE. The ingenious technique described in the video utilizes thermal siphon pumping to move the freshly heated water into the reservoir. It's easy to reproduce and will ensure an individual has an endless supply of hot water for as long as they need.